The mates at All City X Bodytonic coming back at ya with a final Shaw Party of the Summer. 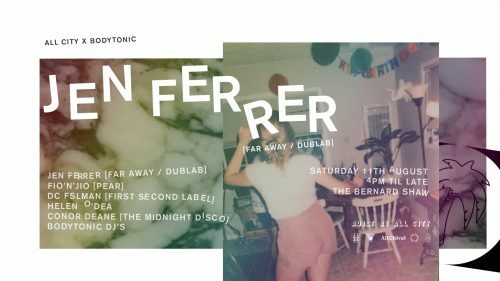 Special Guest Jen Ferrer (Far Away/dublab) flies in from L.A. to join us for her first Dublin appearance, joined by All City friends old and new. Catch the event link here for any updates.